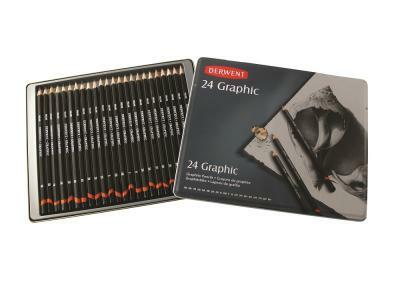 This Derwent Graphic Pencils Tin contains 24 high quality graphite pencils, in assorted degrees ideal for all kinds of drawing and sketching. The tin contains the full range of 20 degrees from 9B to 9H. This is where good drawing starts. 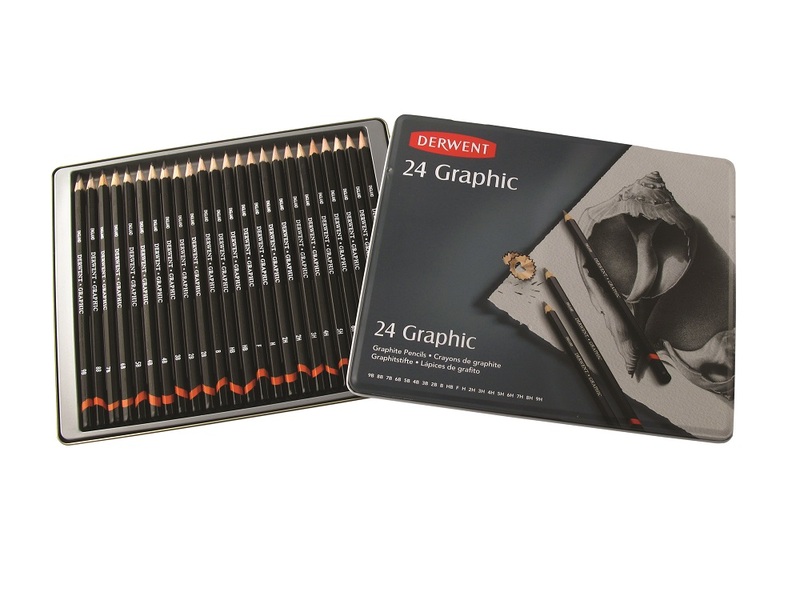 Whatever your drawing style or media preference, you’ll need some traditional, high quality graphite pencils – and you won’t find a better range than Derwent Graphic. This high quality pencil is produced in a wide choice of 20 degrees, from a crisp, non-scratchy 9H to a soft, smudgy 9B. The hexagonal barrel is easy to hold and the pencil sharpens to a good point making it the ideal choice. Produced in a full range of 20 degrees from 9B - 9H. Made from the finest quality material.